Such is Shakespeare’s fame, that he has, inevitably, permeated the culture of our land. Quotations and misquotations from his works pepper advertisements from cosmetics to shoe polish, artificial teeth to linen mesh underwear. The Bard lent a certain gravitas. 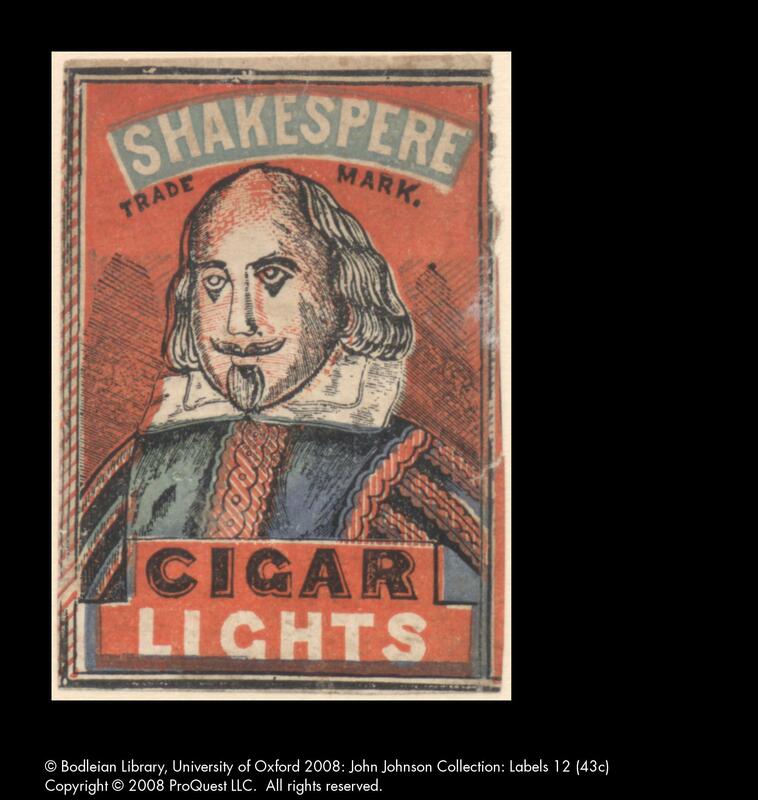 Shakespeare’s portrait graced match boxes and cigar labels, and advertisements for (among others) soap, patent medicines, mustard & candles. In her excellent work Portraits of Shakespeare (Oxford, Bodleian Library, 2015) Katherine Duncan-Jones situates these humble ephemera as derivative of the Droeshout engraving or the Chandos portrait. 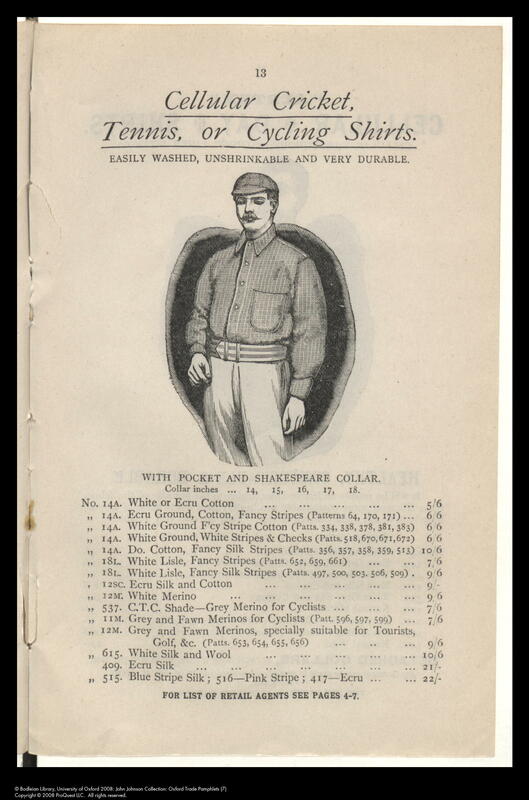 A women’s clothing company (The Shakespeare Manufacturing Company of Manchester) took his name and a collar was called after Shakespeare. 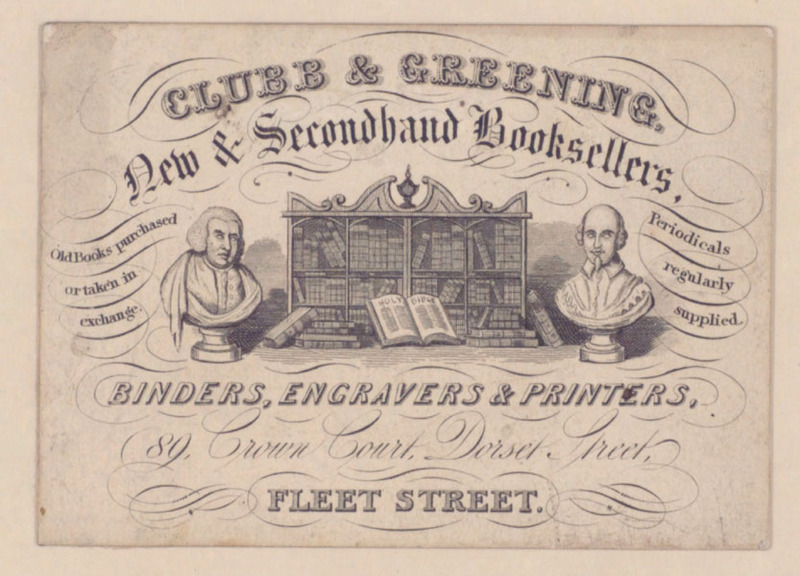 Inevitably, many circulating libraries and bookshops bore his name or his portrait on their trade card. 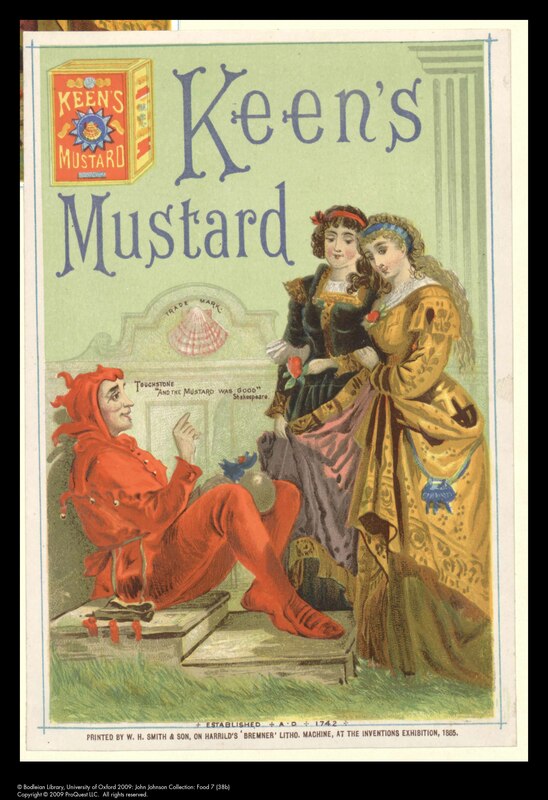 In our ProQuest project (free within the UK), in addition to advertisements, there are sheet music covers, minature theatre sheets, popular and humorous prints, scraps and prospectuses. 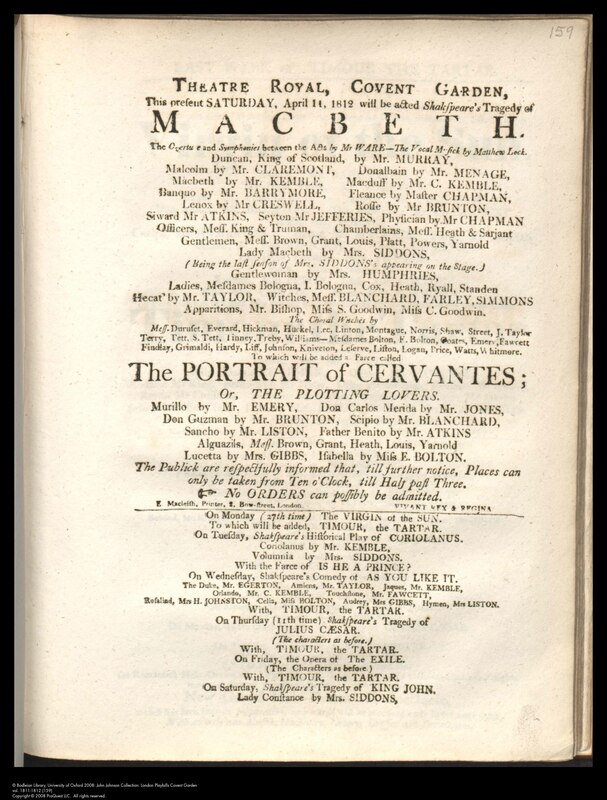 However, the major corpus of Shakespeare-related ephemera in the John Johnson Collection is theatrical, with over 2,000 playbills and programmes from London and provincial theatres fully indexed and digitised on our ProQuest site with some playbills from the end of the 18th century on DigitalBodleian. 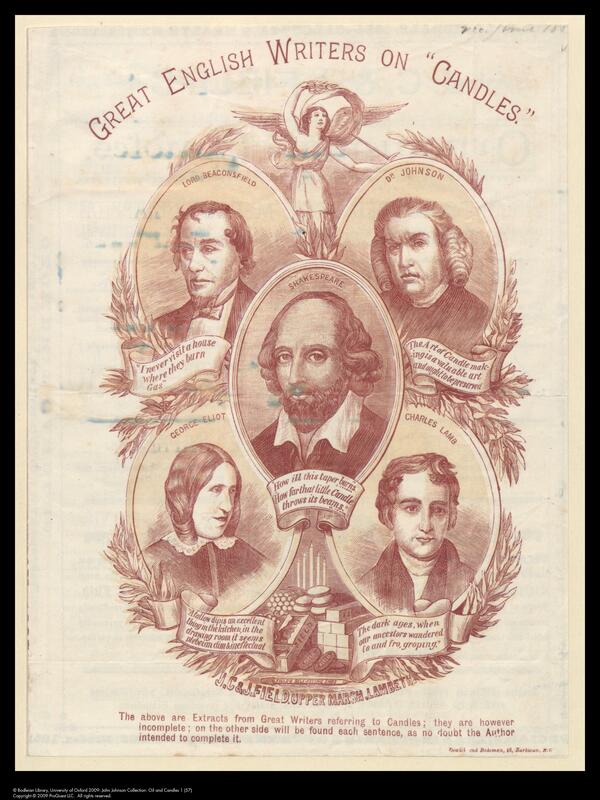 These playbills constitute a major scholarly resource. Not only can researchers find details of which plays were performed, when and in which venue, but also who performed them, in whose edition and in what context. As all performers are indexed, scholars can find Sarah Siddons in Macbeth, John Kemble in Coriolanus, Edmund Kean in Richard III. 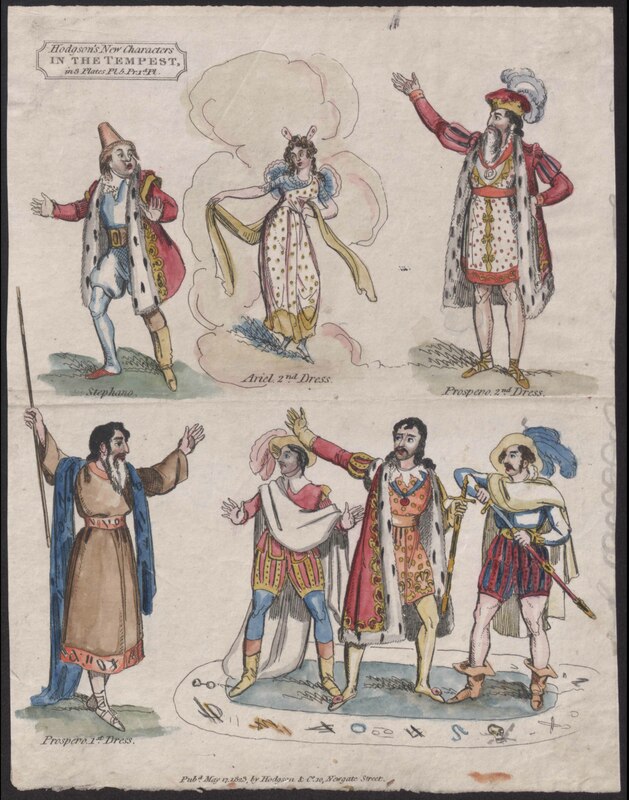 The couplings of Shakespeare tragedies with somewhat lighter works are alien to our current theatre-going practices and reveal much about the nature of an evening’s entertainment expected by Georgians, Victorians and Edwardians. Inserted into these long evenings were songs, dances, ballets, burlettas, masquerades, etc. Musicologists can search for specific pieces or composers of incidental music or discrete works. 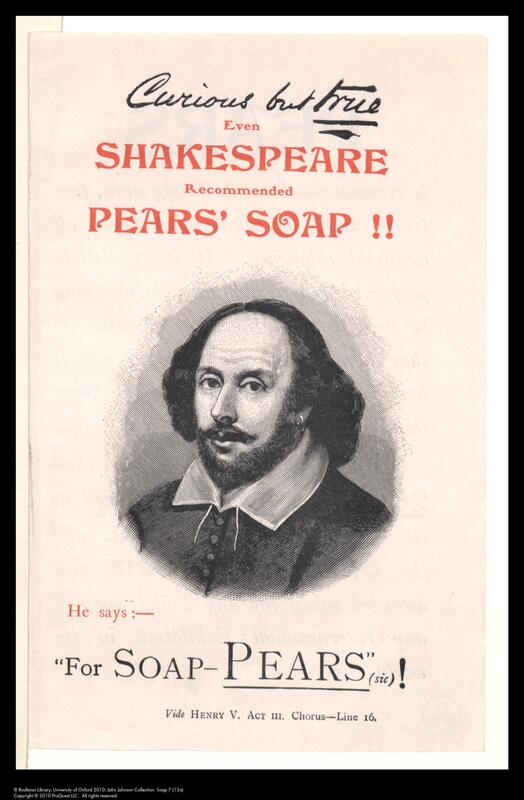 In addition to resources available electronically, there are eight boxes and three folders of ephemera and secondary material relating to the Bard, including undigitised prospectuses of Shakespeare editions. The Shakespeare index is online.